South Korea's producer prices rose to a four-year high in July as the worst heat in recent years hurt the farming sector, central bank data showed Tuesday. The producer price index, a barometer of future consumer inflation, reached 104.8 last month, up 0.4 percent from a month earlier, according to the preliminary data from the Bank of Korea. From a year earlier, it rose 2.9 percent to extend its positive streak to 21 straight months from November 2016. The July figure was the highest reading since September 2014, when the index touched 105.19. The index of agricultural products jumped 7.9 percent on-month in July as crop production was spurred by the recording-breaking hot spell. The heat also pushed up prices of marine products by 3.5 percent last month. 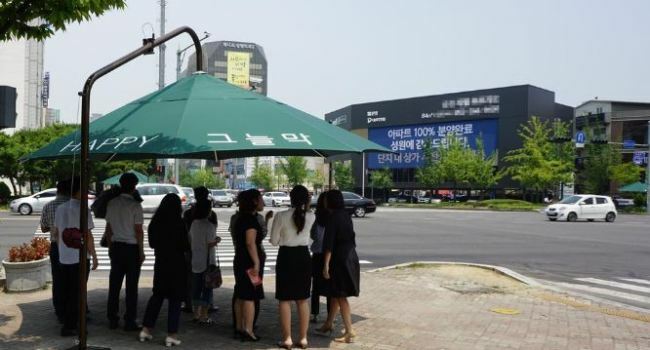 This summer, South Korea has been experiencing record-breaking high temperatures. The daytime temperature of the country's capital reached a record 39.6 C on Aug. 1, while some regions saw the mercury surpass 40 C.
At the same time, prices of industrial goods, petrochemicals and gas gained 0.3 percent on-month last month amid an upside crude oil price trend.